San Juan, Puerto Rico- As part of their commitment to the community, Puerto Rico FC had their first three clinics of the season in Dorado, Fajardo and Hatillo with the participation of over a hundred boys and girls. "It's been a great event. Both parents and children are extremely happy and our team is excited to continue giving back to the community and bringing joy to the kids" Said the Director of Community Relations, Alexis Rivera. 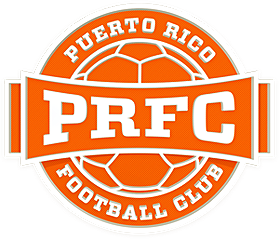 During these clinics the Puerto Rico FC players turned into coaches, teching the children about ball control, proper goalkeeping and teamwork. After the different workshops the children faced off against the players in a friendly match. "I love this type of event. This is how you build a fan base because if the community knows we care about them they'll come to the stadium and show their support" Said Forward, Sidney Rivera. The field of Quintas de Dorado was the site of the first clinc with youth clubs Eleven FC and Toa Baja SC. Next, Puerto Rico FC visited the Tomás Donés Sports Complex and the boys and girls of Cariduros FC. 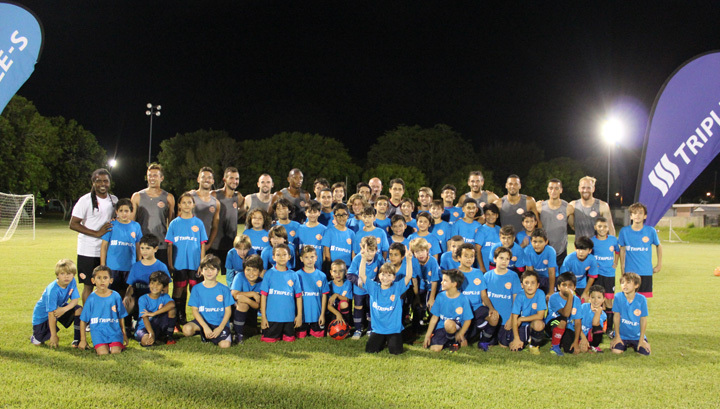 To round up the first leg of clinics the players took a trip to Hatillo where they trained with Hatillo SC and Leal Arecibo in the Francisco Deida Sports Complex. Puerto Rico FC, in a joint effort with Triple-S, will continue touring the Island with this series of clinics. The next stop is the home of Tasis FC in Dorado next Wednesday, May 25, 2016.